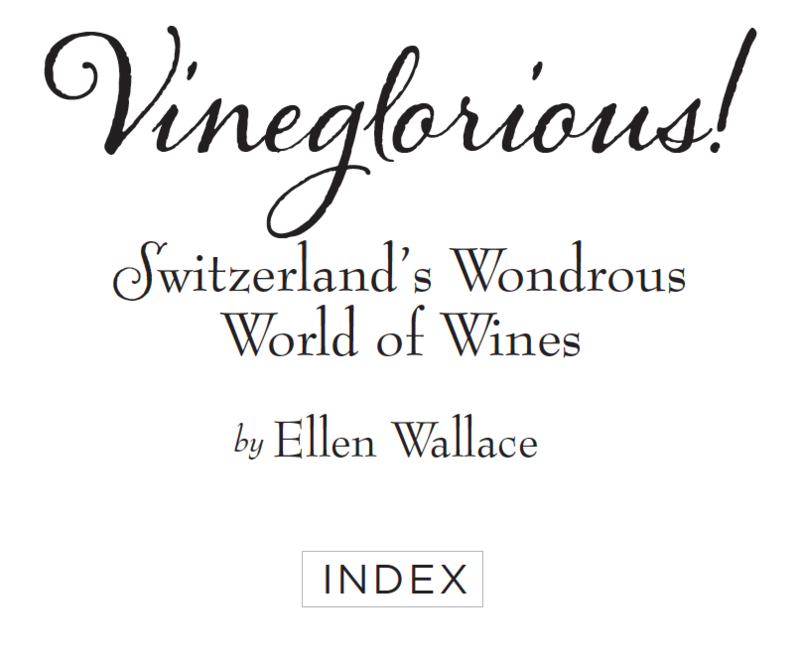 If you would like a printed copy of the index for your book, please contact me at ellen@ellenwine.com. You can also download and print the two-page Vineglorious index, PDF, identical to the one below, but without the links. Note that grape variety descriptions appear in the margins throughout the book, in alphabetical order.